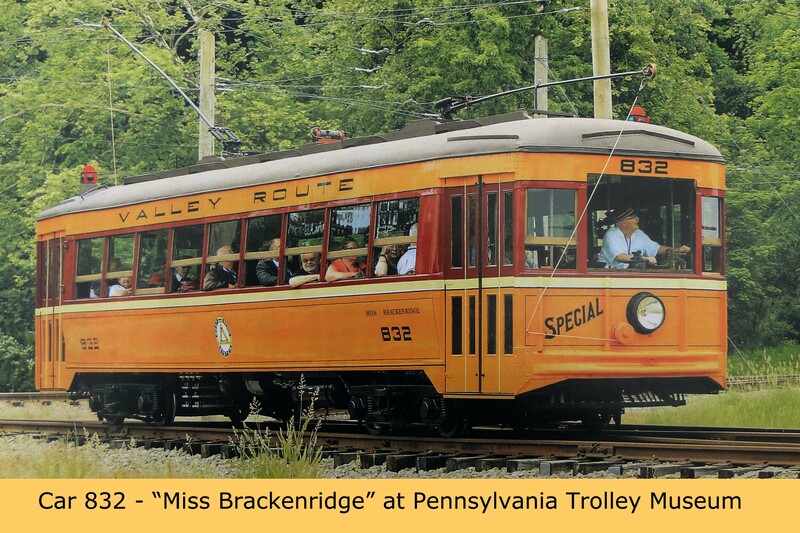 After many years of restoration, Miss Brackenridge was rolled out on June 1, 2018, at the Pennsylvania Trolley Museum at Washington, PA.
On that same day, the Trolley Museum released a book about the trolley system that served our region from the late 1800's until 1937. Written by Edward H. Lybarger and Dennis F. Cramer and featuring maps and layout by Bruce P. Wells, the book recounts the development of public transit in the industrialized Allegheny Valley. It also follows "Miss Brackenridge" from its introduction on Valentine's Day in 1930 to its complete restoration at the Pennsylvania Trolley Museum in June. or at the PA Trolley Museum for $21.95 plus tax.